To the cad who posted this item on his Tumblr, we’d love to hear where you stumbled upon this beverage (and how much it costs). This stuff is great. I drink it daily and find myself less aggressive towards shvatsa’s and other dark races. Side note, it is really expensive (almost 7 cents a can). 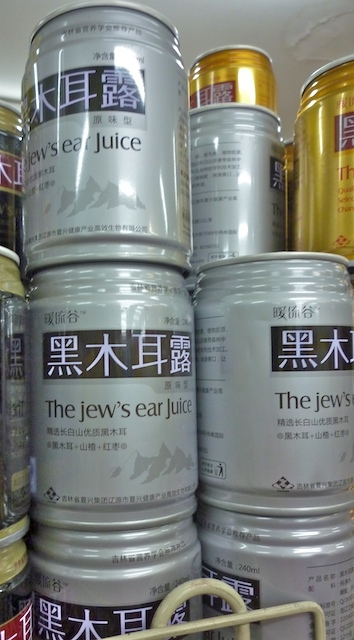 It’s juice made from a fungus (“wood ear” or “Judas’ ear” –> mistranslation of “Judas’ ear” –> “Jew’s ear”).